There is a kind of 'black hole' in biography of famous Hollywood director, Nicholas Ray, something between 1963/67. After two consecutive flops in career, he left his family, young wife and daughter, and out of blue, on invitation by director of 'Avala Film', Ratko Drazevic, he came to Belgrade. Wonder boy, genius director has been also communist and drug addict. 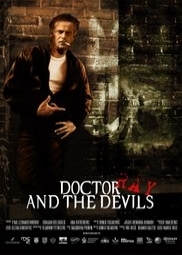 At the time he was working on the project 'Dr and the Devils' based on the novel by cult author, Dylan Thomas. In the same time Ray is chased by his family, producer Samuel Bronston, and the biggest movie star of the era, Charlton Heston, They even hired private detective. Back in Serbia, Ray is praised and protected, with obvious instructions by president Tito himself. But then troubles in Paradise have started.